High priced items could be appliances you need at home or gadgets you need for work or school. Or it may even be a gadget you’ve wanted for a long time. As Christmas fast approaches we find ourselves looking longingly at those high priced items at the store windows. If you have the cash or if you have a credit card (with space, of course) then it isn’t a problem. For card holders most card companies even have schemes at this time of year where not only can they pay in installment but they also have something called deferred payment … this means that they are not required to pay anything for these purchases until 2 to 3 months from date of purchase. However, studies have shown that less than 10% of the buying public in the Philippines own credit cards. So how will the remaining 90+% be able to afford these high priced items then? I’m sure as you’ve walked around appliance and gadget stores like SM Department Store, Robinson’s Appliance Center, Samsung Store, etc. you would have seen signs saying “buy on credit without a credit card, 30 minute approval” or words to that effect. Chances are, this was Home Credit. Home Credit allows you to purchase up to three (3) items in one transaction. What do they ask for? Just a government ID for starters. 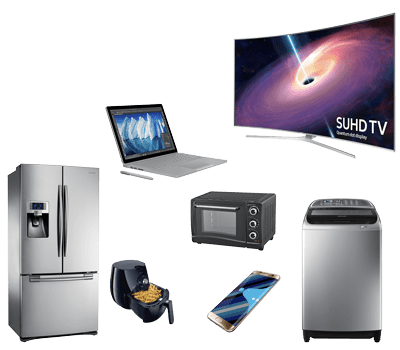 Then a down payment – in the bloggers conference held last November we were told that the minimum deposit is 20% of the cost of the items to purchase but when I went to two appliance stores they both told me that they require 30% down payment. Example, assuming that the item is 10,000: P10,000 x 30% = P3,000 is your down payment. Do they have a processing fee? Home Credit shares a processing fee of 3% of the total purchase cost. I don’t think the store adds on more than that but do let me know if they do so I can update this post. Cash is, of course, king, but sometimes we need a little help and Home Credit has our back. Bring home that high priced item you’ve always wanted for yourself and for your loved ones. Use Home Credit and make it a very Merry Christmas for one and all. 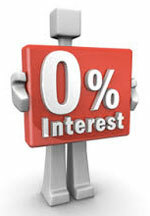 ZERO PERCENT INTEREST – that is their goal. And as you can see in the breakdown, P1,400 a month is no longer heavy on the budget … especially if it means you can finally get that TV for dad or that oven for mom or that phone you’ve always wanted. Think about it. All you are paying for is the cost of the item divided into the number of payments you chose + 3% processing fee. That’s it! Next question would be … where d you make payments? Payments can be made at any Bayad Center branch. Easy peasy! For more information about Home Credit you may visit the website at www.homecredit.ph or their Facebook page at https://www.facebook.com/homecreditph.